Radio420™: ABK and Blaze Announce Juggalo Unity Tour! Now Booking Nationwide! ABK and Blaze Announce Juggalo Unity Tour! Now Booking Nationwide! Juggalo Detroit hip-hop Generals Anybody Killa and Blaze Ya Dead Homie just announced a new tour and looks like their main goal is to re-unite the Juggalo scene as a full supportive family movement again! That’s right! 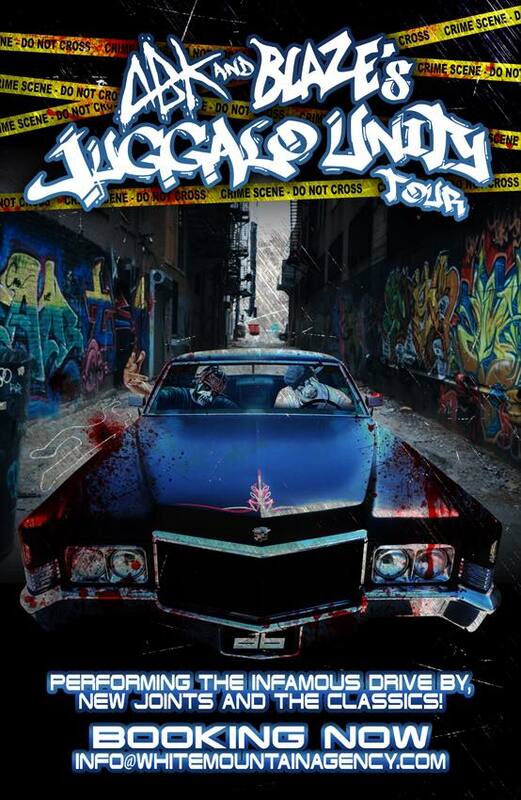 The Juggalo Unity Tour will be arriving and its ready to booked nationwide! So if you want to book a fresh set brimming with new and classic Drive By bangers to wake up your own urban decayed neighborhood, please hit up (only if you’re serious) info@whitemountainagency.com. Subject being ABK and Blaze’s Juggalo Unity Tour Booking Info inside your e-mail. Whoop! Whoop!